These days, a workout space can be anything: a CrossFit® space in a garage, a Barre studio, or a boutique gym. By buying this product you'll earn up to 1943 Rewards points. These days, a workout space can be anything: a CrossFit® space in a garage, a Barre studio, or a boutique gym. You might need meditative music for focused yoga in one class, then high-energy rock that helps your clients push through five more reps in the next. Whatever your needs may be, this gym sound system bundle offers everything you need to fill your workout space with inspiring tunes. The four included Electro-Voice ZLX-12P powered speakers deliver plenty of "oomph" for workout spaces large or small. Each compact speaker uses a built-in Class D amplifier that delivers up to 1000 watts to a 12" woofer and a 1.5" titanium high-frequency driver. The speaker's simple control panel gives you access to a world of sonic tools, including the onboard QuickSmart DSP for control over Mode, Location, Treble, Bass, and Sub settings. You can use these presets to optimize your speaker to a given setting quickly. A built-in limiter engages automatically to protect your equipment when the overall level exceeds a preset threshold. 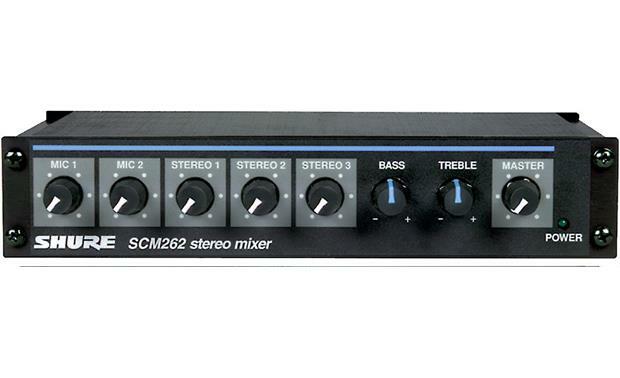 We've included a Shure SCM262 mixer which lets you connect just about any music source you can think of. 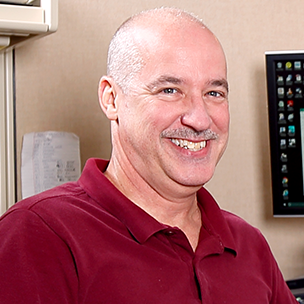 Hook up a microphone to one of its mic inputs, and your trainers can be heard loud and clear as they lead classes. Each source has a dedicated volume control, so you can tailor the mix to individual preferences throughout the day. If you want to pair your phone to this system, you can plug this Bluetooth receiver (not included) into one of the mic channels on the Shure mixer and stream music without plugging in. The last thing you want is customers worrying about tripping over a speaker stand when they should be concentrating on their fitness goals. Gator Frameworks wall-mount speaker stands hold up to 100 pounds each so you can keep your speakers out of sight and out of mind. You can adjust each stand across a wide angle so you can aim your speakers for best results. For safety, each stand features an adjustable rubberized bar that holds the speaker from behind to keep the enclosure rock steady. 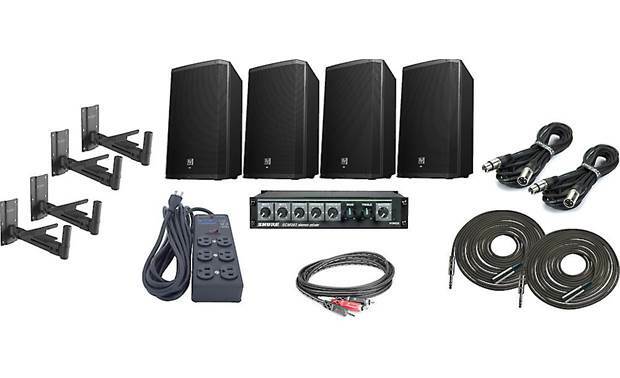 The Electro-Voice High Output Gym System includes four E-V powered loudspeakers along with Gator Frameworks wall-mount brackets and a Shure stereo mixer. 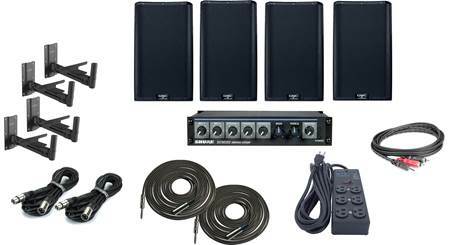 Also included in the bundle are a Furman surge protector - Hosa cable adapter - a 50-foot XLR cable and a 50-foot 1/4" to XLR cable (all individually packaged). 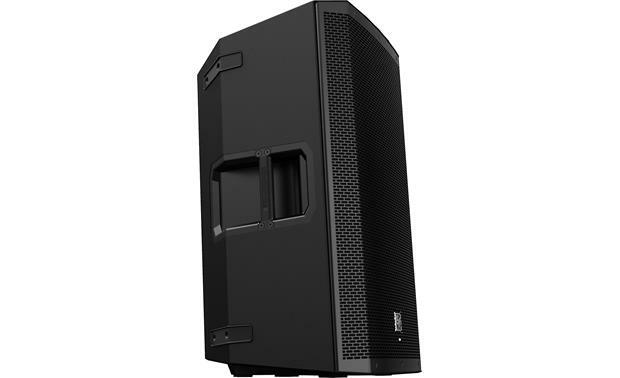 Powered PA Speaker: The Electro-Voice ZLX-12P active PA speaker was designed to give you power and performance, making it an ideal choice for smaller-venue sound reinforcement or stage-monitoring. 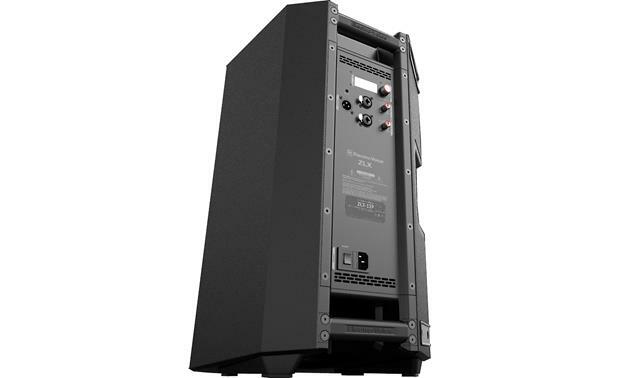 Two-Way Driver Design w/ Patented Split-Baffle: The Electro-Voice ZLX-12P powered PA speaker utilizes a two-way driver design with a 1.5" high-frequency compression driver and a 12" low-frequency woofer. 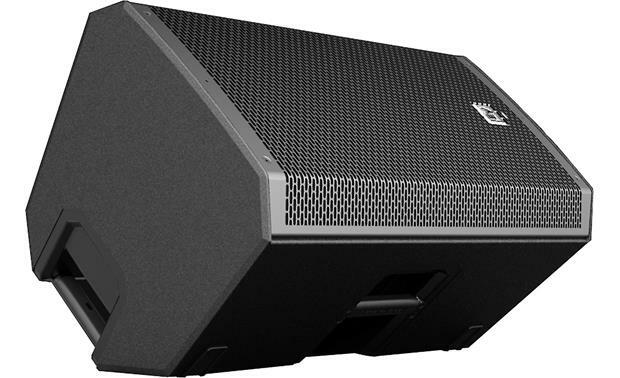 The powered PA speaker's patented split-baffle design delivers superior driver time alignment. Class-D Amplifier: The Electro-Voice ZLX-12P employs a 250W RMS/1000W Peak Class-D amplifier for dynamic sound with low distortion. DSP Controls w/ LCD: The Electro-Voice ZLX-12P's powerful DSP engine is accessed by a clean 3-knob design and LCD screen, and offers precise control and configuration. You can adjust the brightness and contrast of the LCD. Master Volume: The Master Volume knob controls the the powered speaker's overall volume level. Presets: Use the presets to optimize The Electro-Voice ZLX-12P according to your application (music, live, speech, club) and your location (pole mount, monitor, install) and hear the difference. Bass & Treble: You can adjust the system's Bass & Treble from -10 to +10 dB. Sub LPF: Sets the low-pass crossover frequency (80/100/120Hz) when connecting a powered subwoofer. Input Level: Level control for adjusting the individual input's sensitivity. Line & Mic input level control is available for both Input 1 & Input 2. 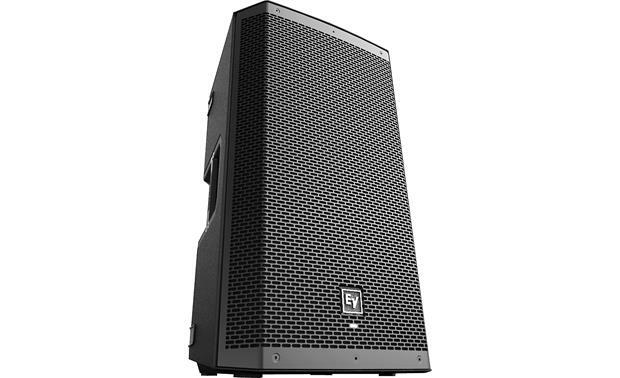 Inputs & Output: The Electro-Voice ZLX-12P active PA speaker is fitted with two balanced TRS/XLR inputs, an unbalanced 3.5mm Aux input, and one balanced XLR output. 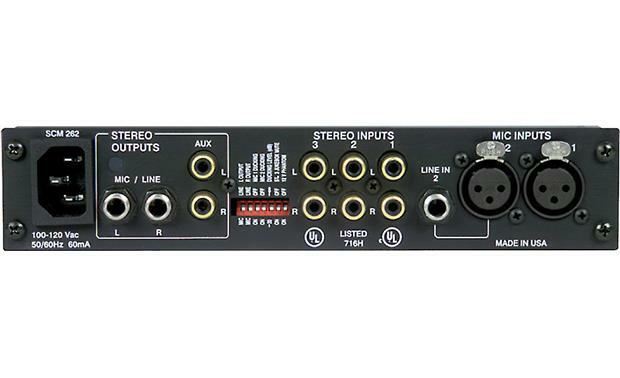 Two Mic/Line Inputs: There are two balanced Mic/Line inputs for the connection of signal sources like mixing consoles, instruments or micorphones. 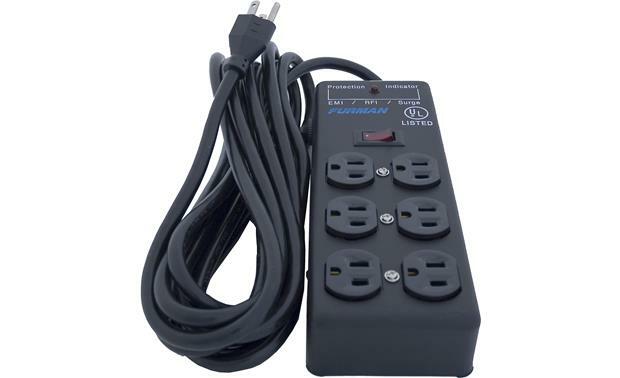 Connections can be established using 1/4" TRS or XLR connectors. Aux Input: There is one stereo minijack (3.5mm) Aux input for connection external audio media devices, such as an MP3 player. Output: The XLR output connector sends the sum of all input signals to another speaker or subwoofer. 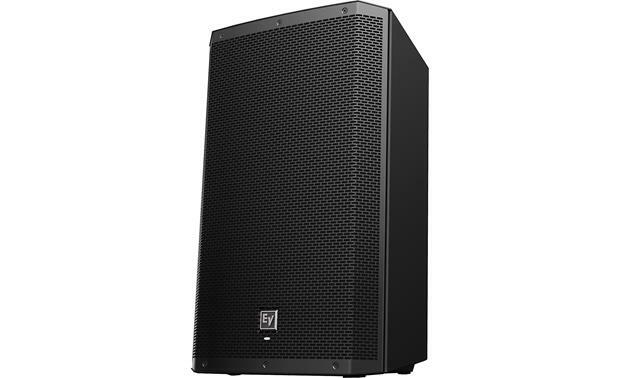 Rugged Cabinet: The active PA loudspeaker's cabinet features durable composite construction. Built-in carry handles make it easy to transport. Mounting Options: The Electro-Voice ZLX series loudspeaker may be used as a floor monitor by placing the speaker on stable, level surface. It may also be tripod or pole mounted using an optional tripod stand or sub pole (both sold separately). 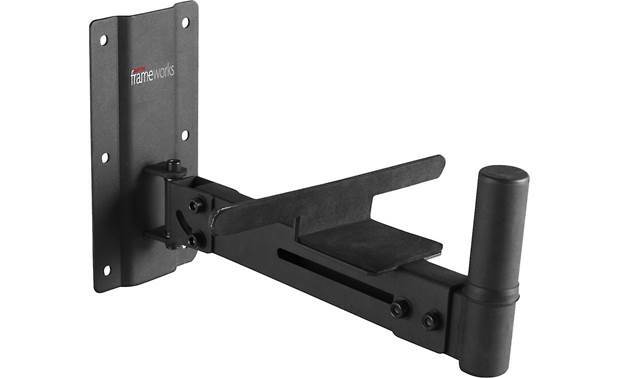 It will accommodate 35mm (1-3/8") stands or poles. LED Indicators: On the front-panel is an LED that indicates "power on" and "limit". 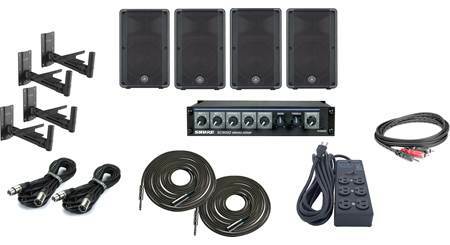 Dimensions: Width 14", Height 24", Depth 14"
Speaker Wall Mount Brackets: The Gator Frameworks GFW-SPK-WM100 wall-mount brackets are made of sturdy aluminum, and can handle speakers up to 100 pounds. They can be adjusted for different angles. The foam-padded speaker base plate adjusts from 5.5" to 10.5". The brackets have a 35mm (1.38") diameter speaker mount. The rubberized mounting surface protects your speaker from scratches. Dimensions: Minimum height 26", Minimum width 5.5", Maximum width 12", Weight 5 pounds. 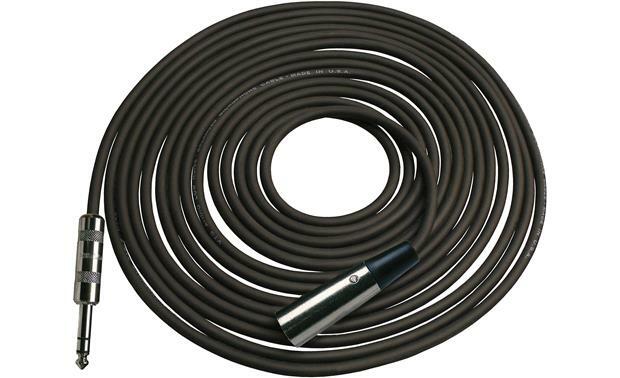 RapcoHorizon BLC-50MS: The RapcoHorizon BLC-50MS is a 50-foot balanced cable that has hand-soldered metal 1/4" TRS and XLR Male connectors. The cable uses two 24-gauge copper conductors with a bare annealed copper serve shield. 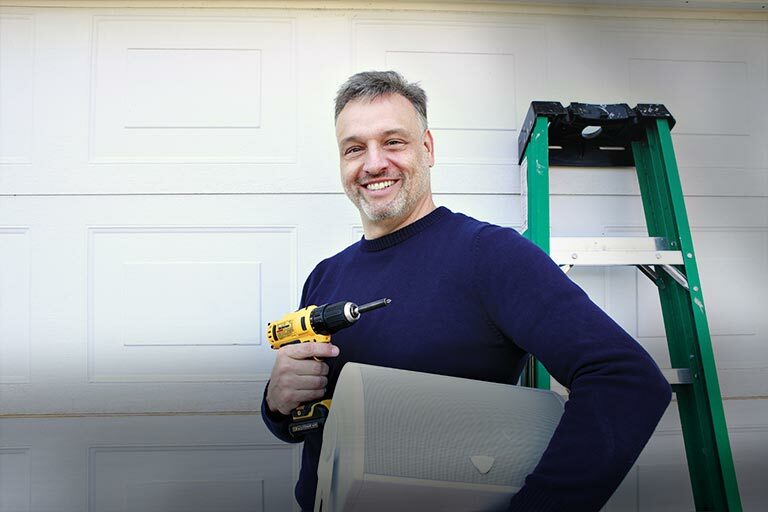 The outer jacket is made with a durable and flexible matte PVC compound. 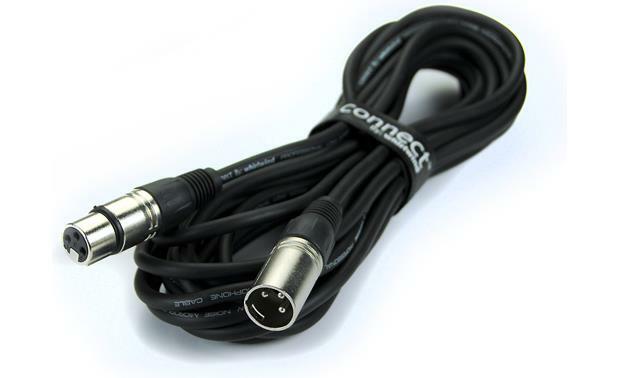 Whirlwind Connect Series: The Whirlwind MIC50 microphone cable is part of the MIC series that offers great value. 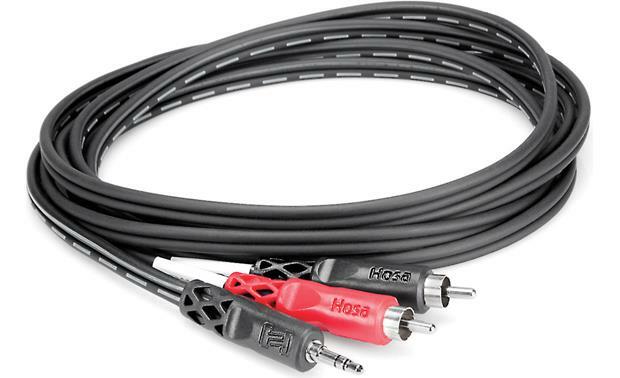 The cable has a black PVC jacket with polyethylene insulation, and is terminated with male and female XLR connectors. It comes with a hook-and-loop cable tie to keep them neat for storage. These imported cables are available in four lengths: 3', 10', 25', and 50'. This cable is 50' in length. 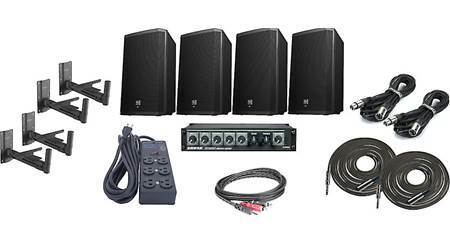 Searches related to the Electro-Voice High Output Gym Sound System Bundle Fill your workout space with sound.